Boxing icon Manny Pacquiao has teased fans about a possible rematch with Floyd Mayweather, smiling as he gamely showed off a suit with pictures of himself and Mayweather on the lining. 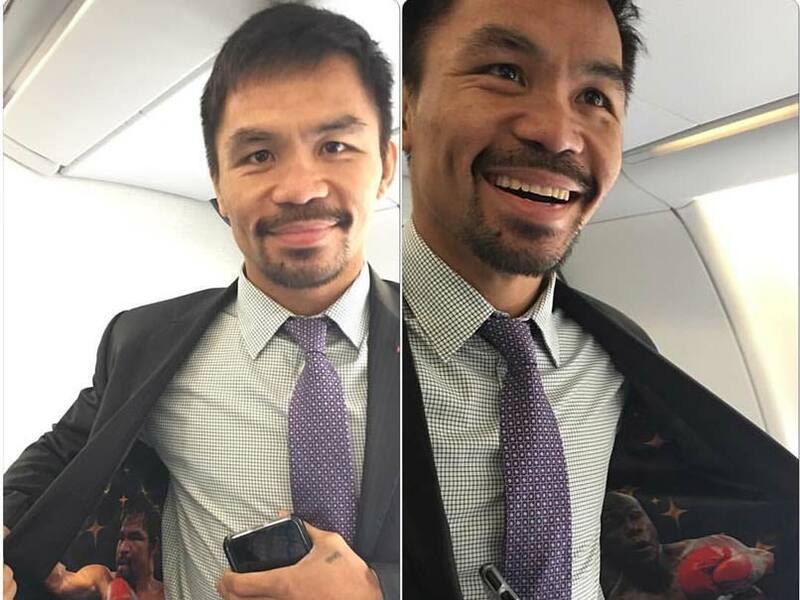 Pacquiao, 37, posted on his social media accounts Monday a photo of himself wearing the suit with his picture on the right side of the coat and Mayweather's on the left. "Like my jacket? ", Pacquiao, who was elected to the Philippines Senate in May, captioned the photo. 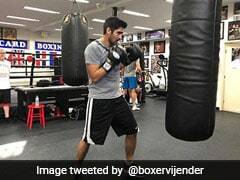 Pacquiao's post, which had received 215,000 likes on Facebook by Tuesday, fuelled talk of "Pacquiao-Mayweather 2" which began after he won the World Boxing Organization welterweight title from Jessie Vargas earlier this month. Mayweather had taken up an invitation from Pacquiao to watch the Filipino multiple world champion's Las Vegas comeback from ringside. Pacquiao said after the fight that he was eager to avenge his 2015 loss to Mayweather in the richest fight in history. "Not only for myself, but the fans of boxing want the rematch, then why not? We can easily talk about that it is not a problem," Pacquiao said. Pacquiao's promoter Bob Arum said last week a rematch was likely. "I give it 75 percent," Arum told ESPN. "Do I know it's gonna happen? No. Do I know if Floyd wants the fight? No. I know nothing more than the public knows at this point and what I observed." Pacquiao's camp said Tuesday, however, that talk of a rematch could wait. "Boxing is not yet in his mind right now," Pacquiao's media relations chief Aquiles Zonio told AFP. "He's focusing on his legislative works. "It will be known by January when will be his next fight and who will be his next opponent."